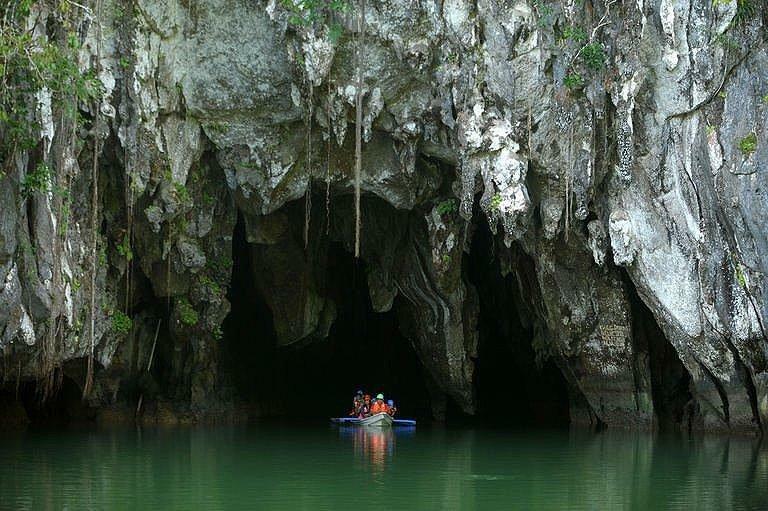 As the voting for the New Seven Wonders of Nature approaches its final stretch, the Puerto Princesa Underground River (PPUR) continues to prove to the world that it should be considered a true wonder of nature. A new mineral, called serrabrancaite, was recently discovered in the cave as confirmed by the Italian La Venta Geographical Association, which has been conducting expeditions at the PPUR. “Cave experts themselves are amazed because only few caves in the world host more than three to four minerals, yet in the PPUR alone, they have unearthed at least 11, of which three are new cave minerals,” Secretary of Environment and Natural Resources Ramon Paje said in statement Wednesday. According to La Venta, the new cave mineral was extracted from an inlet of the PPUR. Its formation is mostly induced by the mineralization of bat or seabird droppings known asguano. Apart from serrabrancaite, the other two new minerals found in the cave were robertsite and janggunite, while the eight previously known cave minerals include calcite, gypsum, apatite, variscite, strengite, manganite, rodocrosite, and pirolusite. With this newfound discovery, Paje urged Filipinos worldwide to continue supporting PPUR by casting their votes before the contest ends at 11:11 a.m. on Friday, November 11. Online voting is on-going through www.new7wonders.com, while SMS voters need to send the word “PPUR” to 2861 for all local networks. He revealed that online voting for the PPUR has slowed down due to the “one vote per email address” policy of the website, while SMS voting has dramatically spiked since SMS voters are allowed to vote as often as they want. 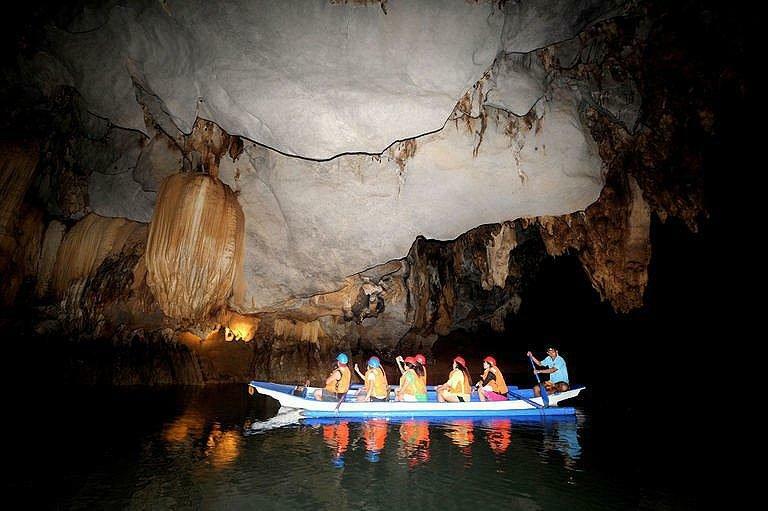 Paje, who is also the national campaign manager for the public sector, reiterated in his statement why the Palawan cave deserves to be one of the seven wonders of nature. “The PPUR represents one of the largest and most important underground estuaries in the world, hosts one of the most complex cave systems, and has the natural capacity to offset the effects of high-impact tourism,” he said. The DENR secretary added that PPUR contains unique formations from secondary mineral deposits not found elsewhere, and hosts cave formations that allow scientists to conduct studies in understanding the Earth’s evolution. He further noted that a 20-million-year-old fossilized remains of a sea cow or sirenia have also been found embedded in perfect condition in the cave’s walls. The search for the New Seven Wonders of Nature was organized by Switzerland-based New7Wonders Foundation, drawing 440 entries from more than 220 countries. Millions voted for the top 77, which was further narrowed down to 28 finalists for the final phase. Paje said that the victory of PPUR, which has also been declared a World Heritage Site by the United Nations Educational, Scientific and Cultural Organization, would be like “David winning over Goliath” as it competes against the Great Barrier Reef of Australia, the Grand Canyon of the USA and the Amazon River of South America. 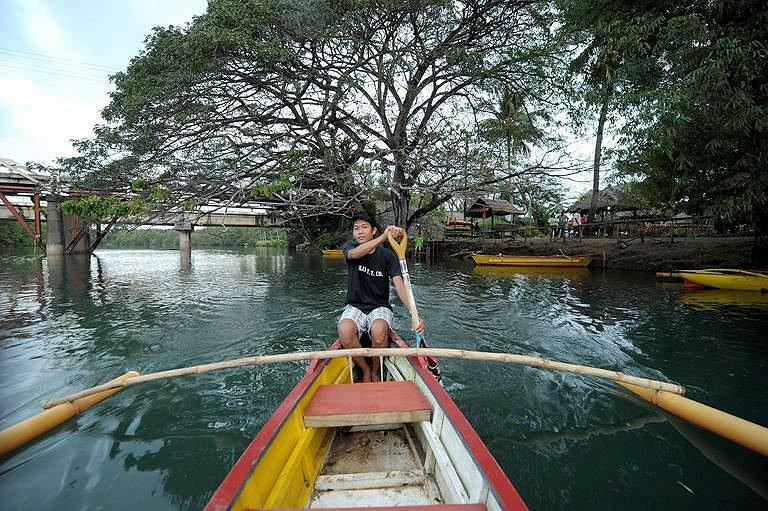 “Filipinos worldwide should be united irrespective of geography, religion, or political affiliation to show the world the beauty of the PPUR and the whole Philippines, as well,” he stressed.